Carphone Warehouse started life on this fair isle with a single store in Dublin in 1996. With 20 stores opening in the next 5 years, people lapped up its service and now you’ll find it in every major town and city across the land. Its appeal lies in its independence: why shop with one manufacturer when you can shop with all of them? 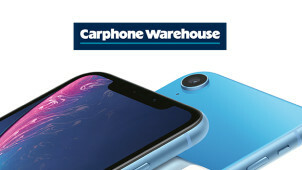 Carphone Warehouse offers impartial, expert advice to help you find the package that works for you across all the major brands out there. It can also help clarify tricky topics such as unlimited data and protection plans to make sure you don’t get fleeced. You’ll find the same level of expertise across its Broadband and TV deals that will get you a great tariff for your internet and televisual entertainment. It’s also a great place to get yourself a new VR headset. As this technology emerges into the mainstream, you’ll want a trusted retailer to guide you through the best manufacturers and models— and Carphone Warehouse is it. How do I use my Carphone Warehouse discount code? Check out Carphone Warehouse’s Facebook page for some great deals! Where is my nearest Carphone Warehouse store? How can I pay with Carphone Warehouse? You can pay with Mastercard or Visa. Can I recycle my old device with Carphone Warehouse? Yes, if you are purchasing a like-for-like item instore. You can return your purchase within 14 days of receipt to receive an exchange or refund. Item must be in original conditions and packaging. Items can be returned in-store or by post. Full policy here. Carphone Warehouse is one of the nation’s top mobile retailers, stocking a great range of the very best handsets and SIMs money can buy. This independent retailer cuts through the jargon of mobile brands offering impartial, expert advice on the phone that works for you. Add a Carphone Warehouse discount code from vouchercloud to your next order and you’re sure to make a saving on a mobile deal, meaning that shiny new phone is well within reach! Getting hold of a new phone is a great feeling, but it’s important to make sure it gets looked after should anything go wrong. That’s why Carphone Warehouse offers great value insurance (also known as its fabulous Team Knowhow) to make any repairs you need. Team Knowhow know how your phone or tablet works inside out, so you can trust them to provide you with the assurance and expertise you need. If you’re happy with your current device but reckon you could be on a better plan, check out the pre-pay SIMs ready to load into your phone for great value calls, texts and data. Use a Carphone Warehouse voucher and your next SIM could cost you a lot less, maximising the value of your purchase. With a range of networks to choose from including vodafone, 3 and eir, you’re sure to find the perfect SIM companion for your beloved phone.